We are the Ward family from Perth WA. 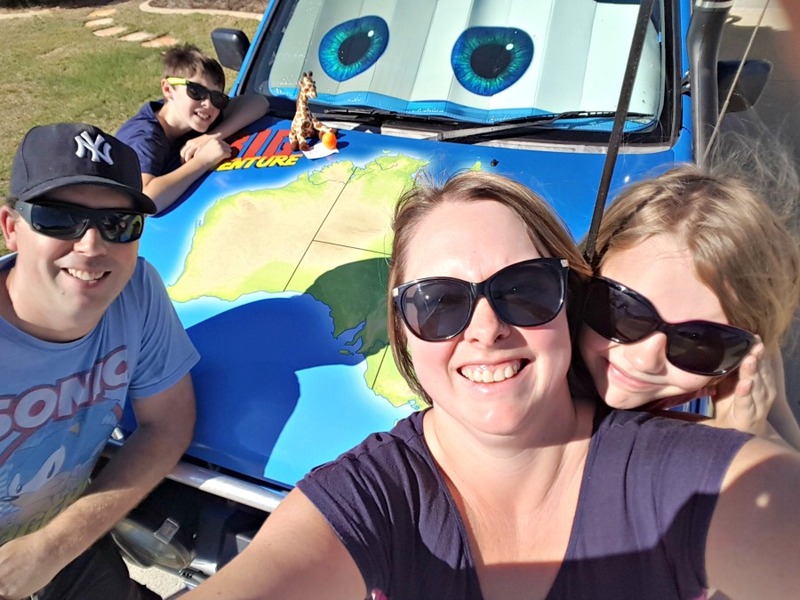 We are travelling Australia for 4 months with our 2 kids, Zachary and Clarissa, in our Holden Rodeo who goes by the name Big Blu and is very much a part of the family. We are tenting the trip in a Black Wolf Turbo Lite 300 Twin. 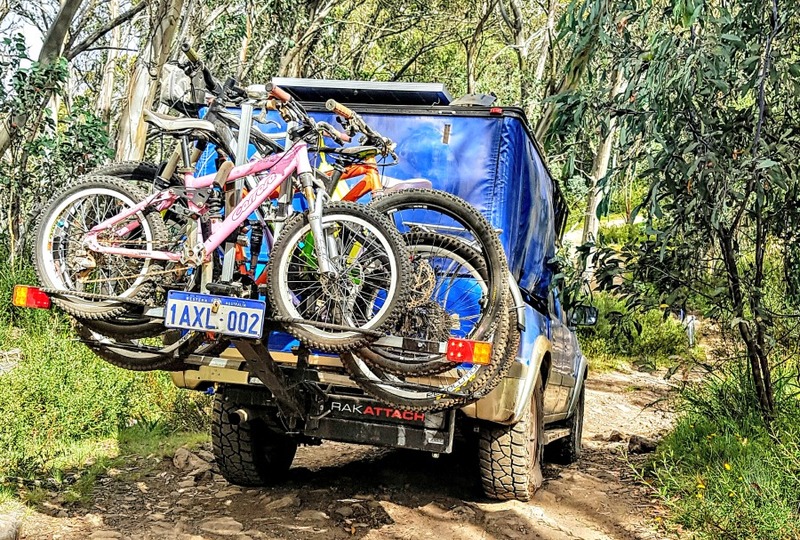 We are not towing, although we do have 4 Mountain Bikes on the back on an ISI offroad spec rack and RakAttach swing away. 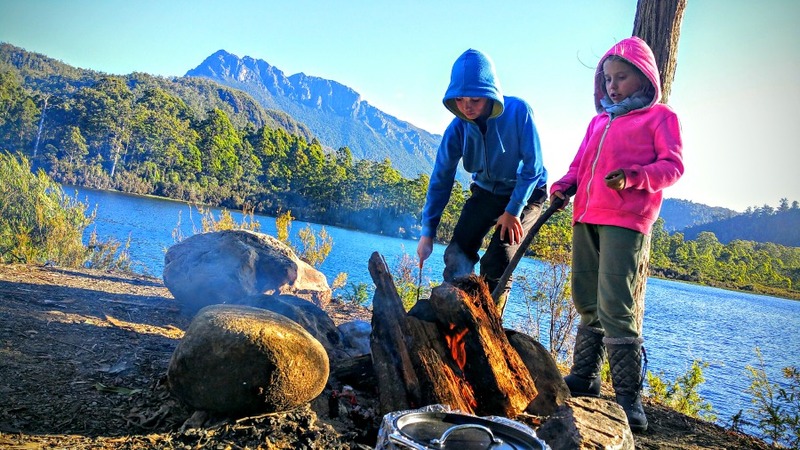 We wanted to explore the country and give the kids life and family experiences they will always remember, not to mention we needed a break from our very busy life at home with 2 jobs, school and multiple extracurricular activities. 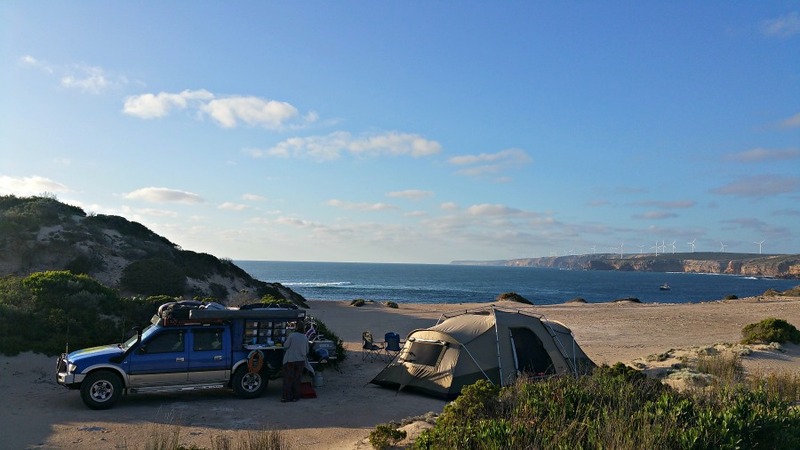 We first decided to do this 4 years ago, 1 year after we bought Big Blu to enable us to camp more easily (We had been camping locally in WA for years). We set the date based on when my Long Service Leave was due and began working towards it. We love tenting and wanted the freedom of not having a van or trailer on the back when we were exploring, so the focus of our preparation became streamlining the setup and pack down time process and condensing everything we needed into the 1.5m3 space in the back of Blu. We upgraded our tent to a Black Wolf Turbo and built a canopy with a fold-down kitchen, solar panel, fridge drawer, built in BBQ and onboard water. We also upgraded our Super Cheap awning to a fast and strong Alucab Shadow 270. We took the rig on numerous short trips and tweaked and changed things as we went (Even after 4 years of prep, I spent the last 3 days before leaving working almost continually on the build, sleeping only about 4hrs in 3 days). The end result of this preparation is we can pitch camp for a single night stay in under 15mins from when we pull into the site and can be rolling out an hour after we first wake up including breakfast and showers (if available). 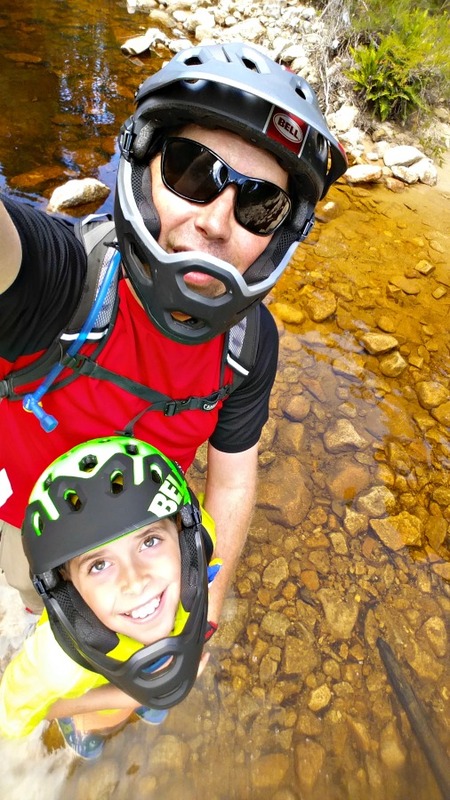 During the prep time, I took up Mountain Biking and introduced the kids to it. Chelle also started casual cycling, but not off road. 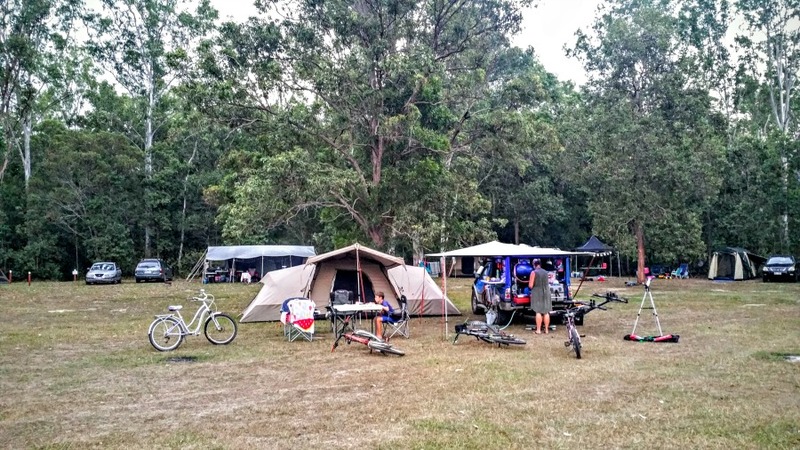 As a result of this I wanted to take our bikes with us, so we had to tweak our setup again and after many nights of research, we settled on the rack and swing away arm above to enable us to carry all 4 bikes over pretty much any terrain without having to tow a trailer. Blu also had a full going over and upgrade on the mechanical side in the couple of months before we left. This included upgrades for remote solo off road travel such as a front auto locker, suspension and GVM upgrade, winch and extensive recovery kit as well as a thorough service and maintenance check. As well as the physical prep, we had to find a house sitter to look after our place and our 3 cats and a dog. We thought about bringing the dog with us, but decided not to given the time constraints, as we would not have time to double back and pick him up when we travelled through Nat Parks etc. We also refinanced the house to supplement my income and reduce repayments as Michelle is taking a term off unpaid from her job as an EA. Our biggest joy has been the time spent together as a family without the stresses and demands on all of our time that exist at home. 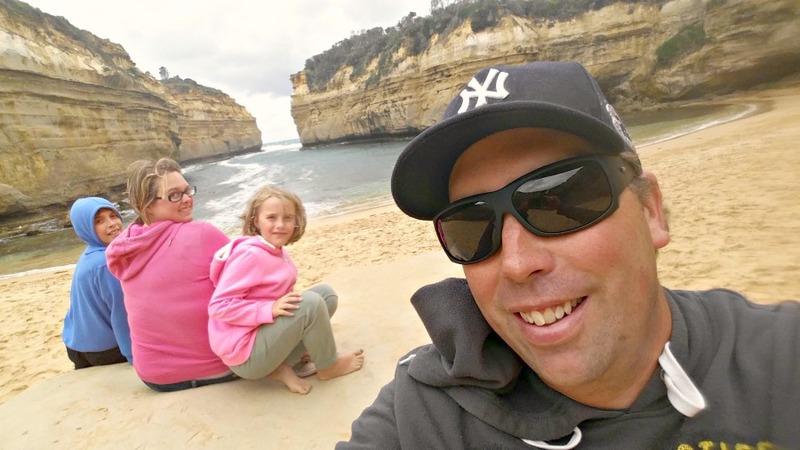 We have all enjoyed exploring new places together and I have particularly enjoyed having the time to do "boy" things with Zach, like riding real mountains in Thredbo, karting at Phillip Island and riding ALL the coasters on the Goldcoast. Our biggest challenge has been the tight time frame we are travelling on. Australia is a big country and 4 months is not a lot of time! To overcome this, we have planned our routes to pass through the places we wanted to see rather than camp in one place and explore the area from there. We have been camped in different places almost every night. Adelaide for 5 nights (While I fitted our onboard water tank and pump) and the Gold Coast for 8 nights (we were given unlimited theme park passes for Christmas) have been our only longish stays and I could count on my fingers the number of 2-3 night stops in the whole trip. This is a tough one! We all really enjoyed our time in Tassie, especially the north east. The whole of Tassie felt like a big country town, and we all agree we could live there. In terms of activities, the theme parks at the Gold Coast top the kids list, driving the High Country and Fraser Island are my highlight so far and Chelle loved Sovereign Hill in Ballarat. Our biggest disappointment has been the Big Pineapple on the Sunshine Coast. It is a sad shadow of the place I remembered fondly from my time growing up in Queensland. Apparently the new owners have big plans for it that are awaiting the approvals process, so hopefully it will improve over the next few years! As we are only travelling for 1 school term, we kept the kids enrolled in their current school and have been liaising with their teachers regarding the curriculum. The school has been incredibly supportive of our trip, even granting my wife a term of unpaid leave from her job as an EA and deferring the fee payments for the term. without all the things we left behind at home. We are all enjoying the much simpler lifestyle and would love to do it for longer down the track! Set a date, even if it is a few years off. Until you do it is just a dream, once you set a date it becomes a plan! Don't put it off because you can't go for a year or more. Although we haven't seen everything we might have if we had been travelling slower, we have seen far more than we expected and definitely more than if we had stayed home! Find a setup that you think will work for you, then do some shorter trips to fine tune things. 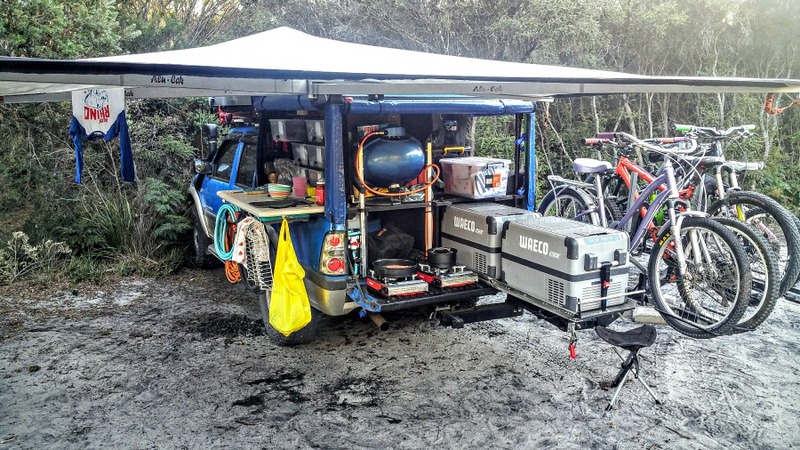 Check out other campers setups and incorporate anything that would work for your family. The big trip is not the time to discover there is something about your setup that you cannot live with! We did a three week trip 12 months before the big one and made a list of things we didn't like, then worked through them over the last 12 months. 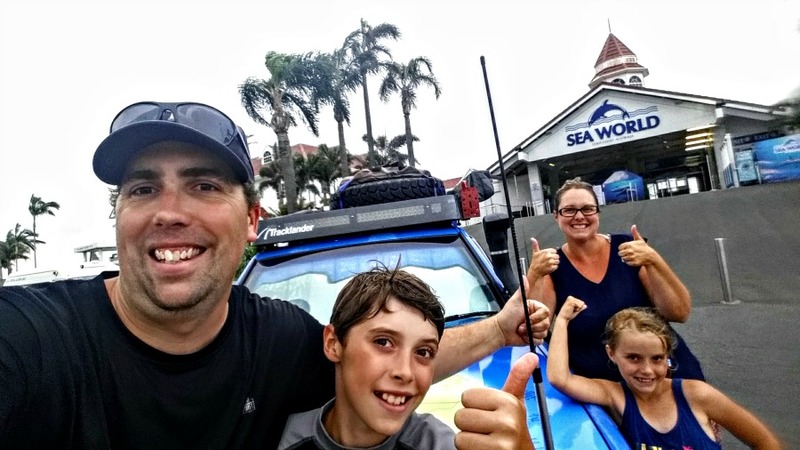 This adventure has brought our family closer together and it has been great to see our kids conquer their fears and try new and different things that they have never been exposed to before. 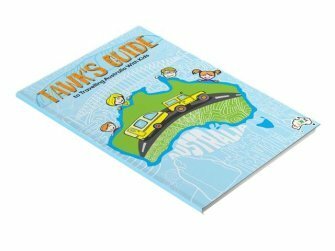 Thanks heaps for reading and allowing us to share our adventure! We have a blog that we'd love to invite you to read www.bigbluadventures.com. See you on the road!